This blog focuses on appreciable impairment in DWI cases. In North Carolina, as far misdemeanors go, Driving While Impaired (DWI) is one of the most serious charges you can ever face. As such, if you are charged with a DWI, you should do everything in your power to defend yourself. DWI attorneys have many things that they consider with your individual case, and it is typically best that you hire an attorney to defend your DWI, because there are many things to consider. In this blog, we will talk specifically about appreciable impairment in DWI cases and what that means. Like all of our blogs, this is intended for informational purposes only and is not intended as a substitute for the advice and counsel of a DWI attorney. What must the state prove for you to be found guilty of DWI? The defendant was under the influence of an impairing substance at the time of driving, when the defendant consumed a sufficient quantity of the substance to lose control of the defendant’s bodily or mental faculties, or both, to such extent that there is an appreciable impairment of either or both of these faculties. When is it appropriate to focus on appreciable impairment? In North Carolina a blood alcohol level of .08 or higher is typically sufficient to make a finding of impairment. Also, positive results for certain substances will also be enough, in most cases for finding impairment. The argument of whether or not you were appreciably impaired comes in to play in a few different scenarios. Commonly, the state proceeds under appreciable impairment when an attorney, through the process of defending your DWI, was able to get your test results suppressed, by making a successful challenge to probable cause or by some other means. This also comes up sometimes when there is a breathalyzer refusal or where someone blew under a .08, but is suspected of having been impaired by drugs. In these cases, the state would have to prove that you were appreciably impaired, without those test results, which makes the state’s job much harder. How is “appreciably impaired” defined? This is where the argument comes in. Absent test results, the smell of alcohol or even consuming alcohol is not enough, in and of itself, to show appreciable impairment. However, the defendant also need not be falling down drunk in order to show appreciable impairment. The state has to show, through some testimony or other evidence, that you were not fit to drive a motor vehicle at the time. If the state is unable to do that, a finding of not guilty would be appropriate. Often the state presents evidence of poor performance on field sobriety testing. 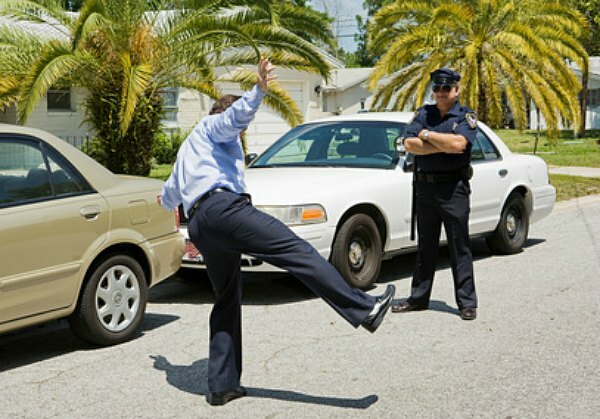 Remember, you do not have to take these field sobriety tests. If you have been charged with DWI, contact us. Gilles Law handles DWI cases in Charlotte, North Carolina and the surrounding areas, including DUI cases in South Carolina.